In Las Vegas, gambling, live shows, shopping, and pampering abound; but that’s not all Sin City has to offer. There are also some pretty incredible dining experiences to be had. 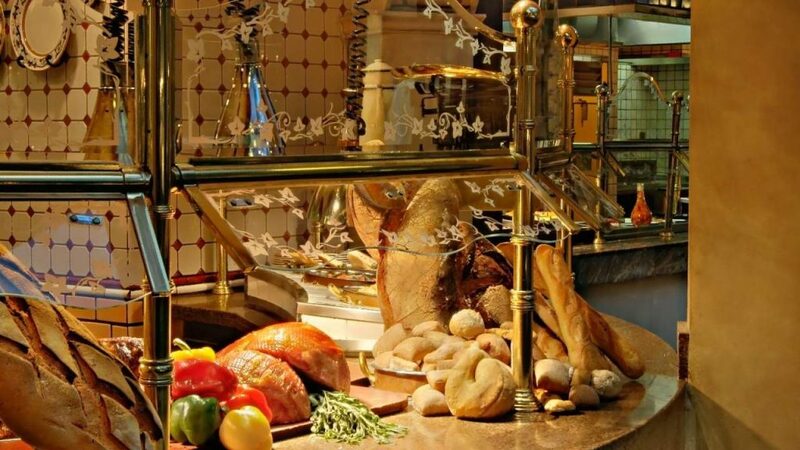 Whether you’re an expert at gastronomy or you are just need to grab a bite to eat to keep your energy levels fueled, a Las Vegas buffet is an absolute must, in particular Le Village Buffet at Paris. 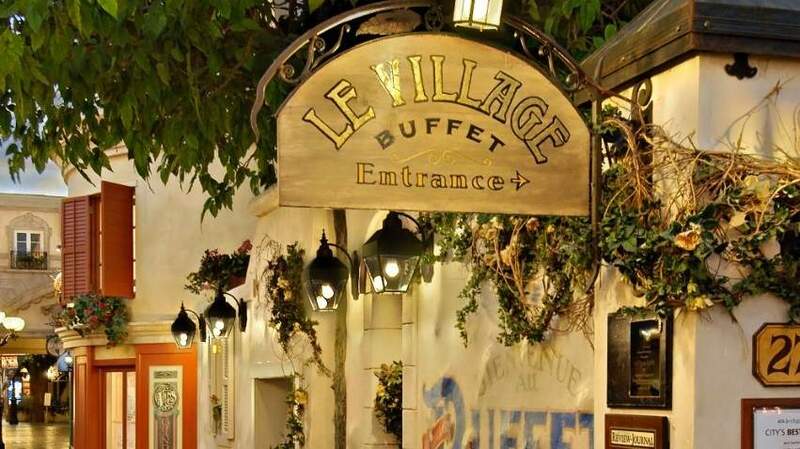 Le Village is a buffet like you’ve never experienced before. 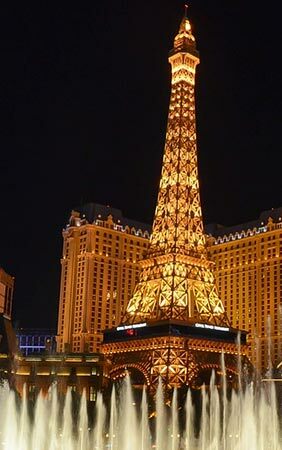 As you would expect at the Paris, the environment is inspired by a French village, and you’ll really feel as if you’ve been whisked away from the Strip to a quaint Parisian café when you dine here. The buffet is adjacent to the casino, and you can choose to sit indoors or dine al fresco underneath the Paris’ beautiful artificial blue sky. Dining here is completely different than a standard buffet; it really is quite an experience to be had. Le Village Buffet. Photo Credit: caesars.com. The cost of dining at Le Village is pretty much on-point with other buffets in Las Vegas; well, at least the higher-end locations. However, it is much less expensive than the Bacchanal Buffet at Caesars Palace. Prices for this French-styled buffet vary for the day of the week and the time that you are dining. The standard costs of eating at this French-styled buffet are as follows. These costs do not include sales tax (8.25%) or gratuities. Also, you may have to pay more on holidays. If you’d like, you can purchase an all-you-can-drink add-on, which costs $12.99. This add-on is only available for adults aged 21 and over, and you’ll have the option to drink unlimited adult libations, including Blue Moon and Miller Lite, red or white house wines, and house bloody Mary’s. If you prefer, you can purchase the Buffet of Buffets package at Caesars, which offers 24 hour unlimited dining at six different buffets in Las Vegas. 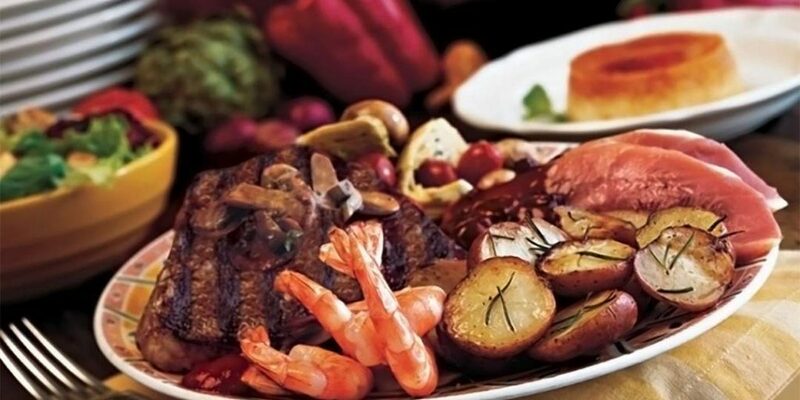 The Bacchanal, Caesars buffet, is included with this package, as is Le Village. If you’re looking for traditional buffet fare, such as American, Mexican, Italian, or Asian cuisine, you won’t find it at Le Village. Instead, the five stations at this buffet are themed after French provinces, such as Provence and Brittany. Each station is “live-action”, meaning that the food is cooked to order, so you can be sure that you’ll be dining on super fresh, expertly prepared culinary delights. For breakfast, you’ll find all sorts of delightful delicacies, such as traditional cheese blintz, smoked salmon, French toast, eggs Benedict, mini-quiches, made to order crepes with a variety of toppings, and a carving station complete with ham, sausage, and slab bacon. There’s also a made to order omelet station, which is really the only thing that’s similar to the offerings at traditional Vegas buffets. There are also plenty of traditional French confections to choose from, such as croissants, pastries, and muffins. For dinner, you’ll also find an incredible selection of food options in each station that pay homage to the French provinces that each station is themed after. For example, you’ll find include pasta topped with truffle cream, Lyonnais potatoes, and penne puttanesca, and pork bean cassoulet. Scalloped potatoes, mashed potatoes, poached pears, and saffron rice are just some of the available side dishes. At the carving station, you can choose from leg of lamb, prime rib, or roast beef. For seafood, options include mussels, smoked salmon, shrimp, seafood bouillabaisse, and trout. In keeping with the French theme, there’s an artisanal cheese station, which also features a variety of cured meats and breads, as well as fresh pate made of duck and pork. The real showcase at Le Village is the crepe station. Here, you can order as many crepes as your heart desires, and they’ll be made while you’re looking on! The toppings are endless; choose something sweet, such as chocolate or fruit, or something savory, like eggs and cheese or truffle mushroom. In addition to the dessert crepes, you can tickle your sweet tooth with a variety of French-themed treats, such as vanilla bean crème brulee, crème caramel, macaroons, bread pudding, cheesecake, and of course, éclairs. Instead of ice cream, there’s a soft-serve custard machine, complete with freshly made cones and toppings. The food served at Le Village truly is a departure from the traditional fare that you would find at a standard buffet. If you want to avoid the wait, Le Village is the only Las Vegas buffet that takes reservations. Visit OpenTable.com or use the Open Table app to reserve your table. You can find discounted coupons for Le Village. Groupon often offers coupons, where you can find discounts for as much as 35%!